On November 29, 1983, a twin-engine Piper PA-34, (N2958R), with a pilot and three passengers left Atlantic City, New Jersey, bound for Bennington. The flight arrived near Bennington Airport shortly before 3:00 p.m., but the pilot opted not to land due to heavy cloud cover. He was re-directed to Albany, New York, and as he was leaving the area the aircraft crashed on Mount Anthony about one mile south of Bennington Airport. Two people aboard the plane suffered serious injuries. The other two were also injured, but to a lesser extent. One passenger was able to make his way down the mountain to Southern Vermont College where he reported the crash to authorities. The others were transported to medical facilities. On the morning of July 2, 1980, a single-engine Cessna 210 with two people aboard took off from Boston bound for Caledonia County Airport in North Lyndonville. At about 8:30 a.m., as the pilot was attempting to land, the aircraft crashed and there were no survivors. Westerly Sun, (RI) “Two People Die In Plane Crash”, July 2, 1980, page 14. At about 8:00 p.m. on December 27, 1978, a small airplane with two men aboard crashed in a wooded area of Woodford, Vermont, near the Glastenbury town line. Both men were seriously injured in the accident, and were forced to spend the next 24 hours in the frigid weather before they were found and rescued. On the morning of March 21, 1979, three friends took off in a single-engine Grumman American AA-5, (N4501L), from a private air field in Underhill, Vermont. Shortly after becoming airborne, the plane crashed in a field off Route 15 in the neighboring town of Jericho. The plane caught fire after crashing, but the three men were able to escape, and were taken to a hospital in Burlington for treatment. Ironically, the three had invited a forth man to accompany them on the flight, but he declined. The forth man happened to be the fire chief of Jericho, and he responded to the report of the plane crash. On July 5, 1976, a single-engine Luscombe 8A took off from Edward F. Knapp Airport in Barre, Vermont, with two central Vermont men aboard. At about 8:00 p.m. that night the aircraft crashed in a field in the town of Plainfield killing both men. At about 7:30 p.m. on February 4, 1976, a Piper PA-23 Aztec, (N65TM), with two men aboard, was passing over South Burlington in-route to land at Burlington International Airport when it crashed in a wooded area of South Burlington. There was a severe snow storm over the area at the time of the accident with wind gusts of 30 mph. Both men perished in the crash. On February 11, 1976, a twin-engine Cessna 172K, (N79285), with four men aboard was attempting to land at Burlington International Airport during a snow storm when the plane crashed about 250 feet short of the runway. Three of the four were killed. Providence Evening Bulletin, “3 killed In Plane Crash”, February 12, 1976, page B-1. On February 21, 1975, a small plane with three Connecticut men aboard crashed upon landing on soft ice on Lake Champlain. The accident occurred off Thompson’s Point in the town of Charlotte. Their intent had been to go ice fishing. Nobody aboard was hurt, and the three were able to walk to shore. On April 23, 1931, a flight instructor and his student were injured when their aircraft crashed at Berlin Corners, Vermont, about four miles from Montpelier. The injured were Emery Dennis, the instructor, and Fred Osborne, his student. Dennis suffered a fractured skull and broken leg. Both were transported to Montpelier hospital. On April 15, 1974, a husband, his wife, and their two children took off from Glens Falls, New York, bound for Portland, Maine, in a brown and white Moody aircraft. While in the vicinity of Danby, Vermont, they encountered poor weather conditions and crashed into the north slope of Dorset Mountain. The wreckage was spotted from the air the following day and when state troopers arrived at the crash site they found no survivors. At 4:30 p.m. on the afternoon of June 4, 1973, two men from Huntington, New York, were injured when their twin-engine airplane crashed on takeoff from what was then called (in the press) Ludlow Airport in Proctortsville. The men were taken to a hospital in Springfield for treatment. The cause of the accident wasn’t stated. On the morning of February 24, 1973, a light plane carrying a pilot and three young passengers crashed while landing at Mt. Snow Airport in West Dover, Vermont. The 37-year-old pilot from New Jersey, and his 14-year-old son, both received serious injuries. The other two passengers, both 12, sustained minor injuries. Mt. Snow Airport is now known as Deerfield Valley Regional Airport. Providence Journal, “Four Injured In Mt. Snow Crash”, February 25, 1973, p6. On March 19, 1966, Melvin E. Seymour, 53, of Creston, Iowa, was piloting a Cessna 182 from Burlington, Vermont, to Portland, Maine, when he disappeared. Despite an intensive search, nothing was found. Then, in June of 1972, a hiker happened upon the wreckage of Mr. Seymour’s airplane with his remains still inside. The aircraft was found near the 2,800 foot level of Jenkins Peak in Waterville Valley. Mr. Seymour had served as a navy pilot during World War II. He’s buried in Graceland Cemetery in Creston, Iowa. At 4:30 p.m. on October 23, 1920, a race involving seven balloons left Birmingham, Alabama, all competing for the Gordon Bennett International Trophy For Free Balloons. The declared winners were Belgian army lieutenants Ernest De Muyter, and Mathieu La Brousse, who sailed 1100 miles in their balloon, “Belgica”. After being in the air for 40 hours, De Muyter and La Brousse found themselves heading in a westerly direction away from upstate New York and out over Lake Champlain and towards Vermont. While over the lake, the balloon began loosing altitude and dropped into the frigid water about a mile off the western shore of North Hero Island. Neither man had a life preserver so they stayed with the balloon which was being pushed across the choppy water by strong winds. The plight of the men was witnessed by Henry A. Hazen from his shoreline home, and he set out with a canoe to rescue them. The winds were still pushing the balloon towards shore, so when Henry reached it, the men decided to stay with it, and before long it was in water shallow enough for them to wade the rest of the way. The men were brought into the Hazen household and offered warm blankets and refreshments. On the afternoon of September 6, 1916, Samuel A. Libby, 38, was giving a balloon-parachute exhibition at the Rutland Fairgrounds. Libby’s demonstration involved four parachutes, each to be used in succession of each other, thereby giving a more thrilling performance. When the hot-air balloon had reached an altitude of 1,500 feet over the fairgrounds he cut away with the four parachutes. As Libby made his descent, the first three chutes deployed properly, but the fourth failed to open and he was killed. His remains were reportedly sent to Oakland, Maine. It was further mentioned that he was single, and had belonged to the Loyal Order of Moose. The day following the accident, a replacement for Libby was found. 18-year-old Freemont Ross of Rutland agreed to jump from the same balloon using a single parachute, which he did successfully. It was noted that this was his first time in a balloon. According to The Bennington Evening Farmer, Mr. Libby was 44-years-old, and was survived by two sisters. When his parachute failed to open, he reportedly landed on property located on Phillips Avenue. On the afternoon of July 4, 1873, Professor Frank K. King, son of the famous aeronaut Samuel A. King, made a balloon ascension from the fair grounds near Morrisville, Vermont. The balloon sailed away and was in the air for slightly more than an hour when it unexpectedly came down in a wilderness area somewhere near the town line between Eden and Hyde Park. King climbed down from his balloon but had no idea of his exact location, or in which direction he should begin walking. He set out on a course he hoped would bring him out of the woods, but after hiking for a good length of time found himself back at his balloon. He spent two days and two nights in the woods without food or shelter before he met up with a search party that was looking for him. Source: Orleans County Monitor, “Fourth Of July Balloon Ascension At Morrisville”, July 14, 1873. When King and his balloon were about two-and-a-half miles up he encountered a snow storm. The snow and ice coated the balloon adding weight and forcing it down. The number of searchers was said to be five hundred men. On September 13, 1947, two brothers, Leroy B. 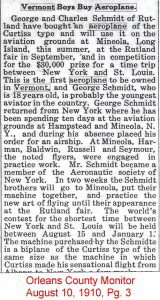 Church, 38, of Springfield, Massachusetts, and Clarence Bruce Church, 40, of New York City, rented an airplane in Westfield, Massachusetts, for a flight to Poughkeepsie, New York. While en-route to their destination they encountered severe weather and crashed in a remote wooded area near the small town of Wardsboro, Vermont. Both were killed. The aircraft involved in this accident had been seen circling the town of Wardsboro. At approximately 7 p.m., a housewife saw the aircraft go down, and notified the local telephone operator who then notified authorities. A search party of between 40 to 50 volunteers trekked into the now dark woods in search of the wreck. The plane was located in a wooded area about a half-mile from a road. Clarence Church was a manager at the IBM company in New York City. Leroy Church was an inspector for Pratt-Whitney Aircraft in Massachusetts. Source: Rutland Herald, “Two Killed In Light Plane, Eight Hurt In Road Crashes Add To Toll Over Week-End”, September, 15, 1947. 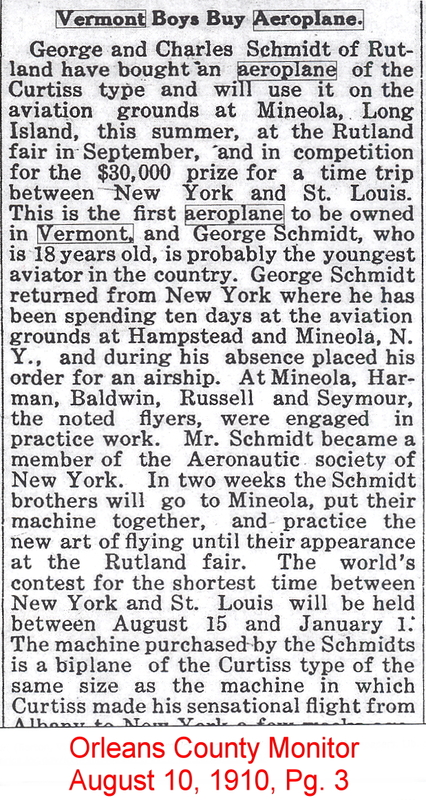 Article supplied by Mr. Brian Lindner, Vermont Aviation Historian. On the morning of June 13, 1953, a single-engine airplane with two men aboard took off from Mahwah Airfield near Nyack, New York, and flew to Warren, Vermont, where the pilot, Fremont L. Lovett, 64, owned property that contained a private airstrip. 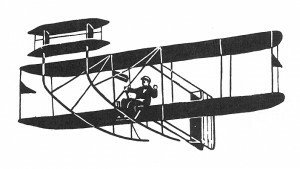 At noontime, Mr. Lovett and his passenger, True C. Morrill, 65, crashed during take off for the return trip. Both were killed. Mr. Lovett was a highly successful and well known businessmen who directed three public utilities, and Mr. Morrill was a college Dean at Bergen Junior College in Teaneck, New Jersey. Source: New York Times, “F. L. Lovett Killed In Crash Of Plane”, June 14, 1953. One source describing this tragedy states it occurred at a new airport dedication in Brattleboro, but another states it was an aircraft meet sponsored by the Brattleboro Outing Club to demonstrate the safety of aviation. In either case, eight aircraft were scheduled to participate in the activities, but only seven actually did. During the morning of August 18, 1922, between six and seven thousand people gathered to witness the air show which was to include various forms of stunt flying. Also in attendance was Vermont’s Governor, James Hartness, a strong supporter of the advancement of Vermont aviation. At the opening ceremonies, Miss Evelyn Harris, 25, the sister of Fred H. Harris, the president of the Brattleboro Outing Club, had the honor of raising the American flag while the Governor gave his address. 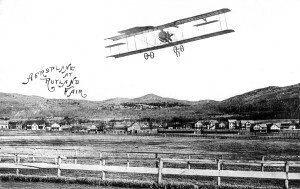 Towards the later afternoon, while four other planes were still stunt flying over the field, a Curtis Oriole C6 airplane prepared for take off. The pilot was Benjamin Hughes of Long Island, N.Y. His three passengers included Miss Harris, James Trahan, and his 5-year-old son, Norman. As the airplane left the ground, a wheel caught the top of an Elm tree sending the plane into some high tension wires which set it ablaze. Hughes was thrown clear in the impact, but the others found themselves trapped in the aircraft. Although injured himself, Hughes tried to rescue the passengers, but was unsuccessful, and suffered serious burns in the process. On the night of October 7, 1966, a Piper Comanche carrying three Canadian citizens crashed into Mount Mansfield, the state’s highest mountain. The plane impacted roughly five hundred feet from the summit on the Underhill, Vermont, side. There were no survivors. The dead were identified as, (pilot) David Shefler, 42, Robert Rosen, 46, and Mary Pert, 30. The summit of Mount Mansfield is 4,393 feet above sea level. At 8:43 p.m. on July 1, 1957, a young couple on their way home from their honeymoon in Nantucket, Massachusetts, took off in a single-engine Stinson Voyager airplane from the Worcester (Mass.) Airport bound for upstate New York. They were scheduled to reach their destination at 10 p.m.. However, while over Brattleboro, Vermont, the husband reported that they’d encountered strong headwinds and their arrival would be delayed. When the aircraft never arrived it was reported missing. What followed was a large scale search that lasted four days. The wreckage was discovered on July 4th in a thickly wooded area near the Somerset Reservoir in the town of Somerset. The bodies of the couple, Mark and Joan (Whiting) Larue of Hudson Falls, New York, were found inside. They’d been married just two weeks. It was surmised that the plane had been caught in a gust of wind and forced into a nose dive when the accident occurred. There was no fire after the impact. On July 26, 1930, a plane carrying two men left Athol, Massachusetts, bound for Springfield, Vermont. As the plane was circling to land at the Springfield Airport, (Today known as Hartness State Airport.) it suddenly went into a spin and crashed in a field next to the airport. Both men were killed. The dead were identified as (Pilot) Wayne Tatcher, and his passenger, Dr. Clarence M. Taft, both of Athol, Mass. The aircraft involved in this accident was a de Havilland Moth bi-plane, powered by a four-cylinder engine. It crashed on property owned by Winifred McCann located next to the airport. According to witnesses, the aircraft had circled over the field at an altitude of about 200 feet before banking into a left turn, where it suddenly went into a spin and crashed. The accident was investigated by Inspector Robert Hoyt of the Department of Commerce. Source: Springfield Reporter, “Two Killed When Plane Makes Dive”, July 31, 1930. 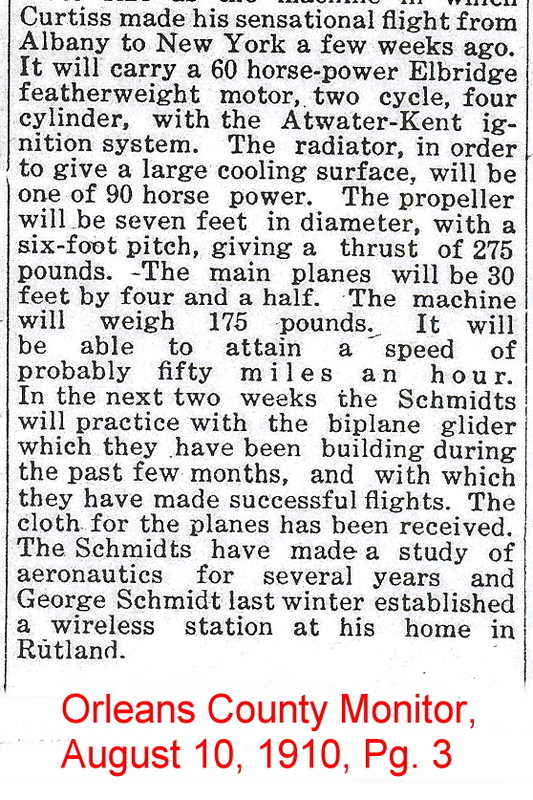 Article supplied by Mr. Brian Lindner, Vermont Aviation Historian. On April 7, 1978, a small plane carrying two men took off from Stratford, Connecticut, bound for Edward F. Knapp Airport in Berlin, Vermont. The plane crashed in dense fog in a wooded area near the airport. Both men were killed. The dead were identified as Paul Krupp, 37, of Westport, Connecticut, and John Thebobo, 40, of Norwalk, Connecticut. First responders had to use snowmobiles to reach the wreck site. 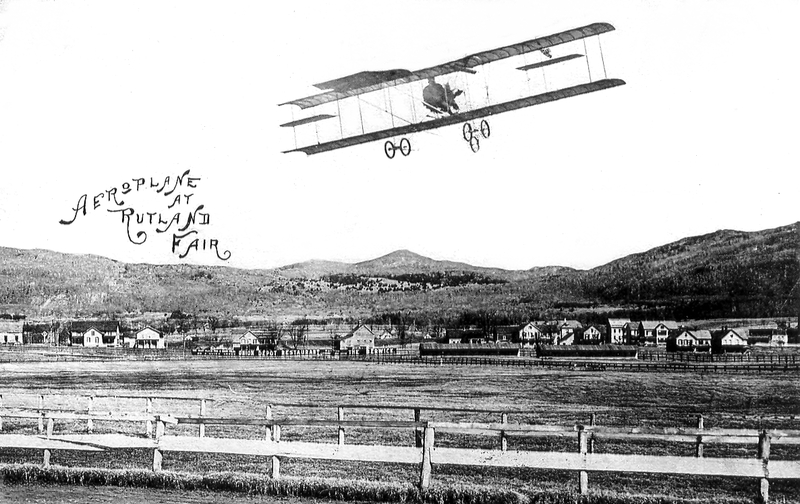 On December 18, 1930, three men were flying over the town of Bellows Falls, Vermont, when their plane crashed next to the Connecticut River just after it passed over the home of Mrs. George P. Kenyon, who happened to be the aunt of the pilot, Fred M. Greenwood. Greenwood survived with minor injuries, but his two passengers, Carlton Wright, and Arnold Knowlton, both of Saxton’s River, Vermont, were killed. On November 18, 1973, three Dartmouth College students left Lebanon, New Hampshire, bound for Schenectady, New York, in a single-engine Piper Cherokee. The aircraft belonged to the Dartmouth Flying Club. As the plane was passing over the Manchester, Vermont, area it crashed into 3,880 foot Mount Equinox. All three men were killed in the crash. Edwin Estepa, 19, of the Bronx, New York. James M. Dougherty, 21, of Feura Bush, New York. Charles Alpert, 18, of Westfield, New Jersey. Providence Evening Bulletin, (R.I.),”Dartmouth Students Die In Air Crash”, November 19, 1973, page 14. On September 2, 1930, Mr. and Mrs. William Vaughan and their friend, Howard Chandler, were traveling in an automobile headed to the Rutland Fair when a hot air balloon suddenly crash-landed on their car, caving in the roof, and seriously injuring the occupants. The balloon was part of an act being performed at the fair, when for some reason it rapidly deflated and fell five-thousand feet before striking the auto. There was no word on any occupants of the balloon. 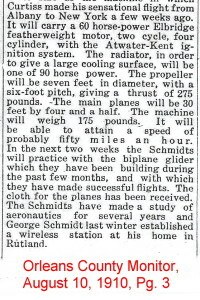 Source: New York Times, “Balloon Drops On Auto”, September 3, 1930. The accident occurred around 3 p.m. The balloon had been used by DeForriest Dickinson, 21, a parachute jumper performing at the Rutland Fair. 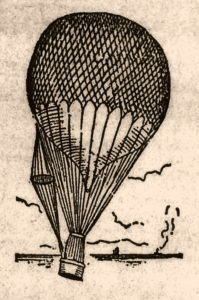 Dickinson’s act involved his being launched from a cannon suspended from the balloon while 5,000 feet above the ground. After leaving the cannon, Dickinson dropped for 1,200 feet before his parachute deployed. Upon landing he narrowly missed some electrical wires near a railroad track before alighting safely on South Main Street. Meanwhile, his balloon lost its buoyancy and fell rapidly, crash-landing on top of the automobile occupied by the Vaughan’s, Mr. Chandler, his wife, and their 9-year-old son Russell. The balloon reportedly weighted more than 100 pounds, and when it hit, it completely enveloped the car. The impact took place at Strongs Avenue and South Main Street. Fortunately, Mr. Chandler, who was driving, was able to bring the vehicle to a safe stop, thus avoiding a greater accident. Source: Rutland Herald, “Autoist Injured, 4 Endangered By Falling Balloon”, September 3, 1930. Article supplied by Mr. Brian Lindner, Vermont Avation Historian. At 1 p.m. on May 29, 1988, a small plane left Allegheny County Airport in Pennsylvania, bound for Laconia, New Hampshire. At about 3 p.m. witnesses saw the aircraft apparently experiencing engine trouble shortly before plunging to the ground in Shaftsbury. Although the aircraft was equipped with an emergency transponder, it took awhile to locate the wreck due to the rocky area in which it crashed, and heavy foliage on the trees. The pilot, Harry Rhule, 52, of Cabot, Pennsylvania, was killed in the crash. There were no other persons aboard. Beaver Co. Times, “Vermont Plane Crash Kills Pennsylvania Man”, May 31, 1988. On the night of November 25, 1965, a single-engine Beech Bonanza with four people aboard was flying from Hartford, Connecticut, when it encountered bad weather and crashed in thick woods about one mile west of Barre-Montpelier Airport. The aircraft wreckage was found three hours later in a deep ravine between Berlin Pond and an airport light beacon. Witnesses reported that the plane had been circling the airport when it struck one of the light beacon towers. It began to snow after the accident, which hindered search efforts. All aboard were killed. State police did not release the names of the victims, but only stated there were two men and two women aboard. On June 4, 1973, a Cessna 150 with two men aboard was taking off from Smith Airport in Ludlow when the aircraft lost power just after leaving the ground. As the plane fell it clipped some power lines before crashing in a field about 1,000 feet from the end of the runway. Those aboard were identified as Richard Freda, 41, and Kenneth Deegan, 35, both of Huntington, New York. Freda was transported to Mary Hitchcock Hospital in Hanover, New Hampshire, in critical condition, while Deegan was taken to Springfield Hospital where he was listed in satisfactory condition. 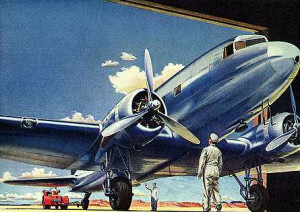 Shortly before 1:30 p.m., on April 10, 1964, a Northeast Airlines DC-3, (Flight 373) was taking off from Barre-Montpelier Airport with nineteen people aboard. The plane had barely left the ground when a sudden strong gust of wind rotated the plane and sent it crashing into a storage hangar, two parked cars, and another aircraft. Remarkably, there were no reported injuries. Although the airliner suffered extensive damage there was no fire, and all aboard were evacuated safely. On September 20, 1948, Colonial Airlines, Flight 3, left Montreal, Canada, bound for New York City by way of Burlington, Vermont. 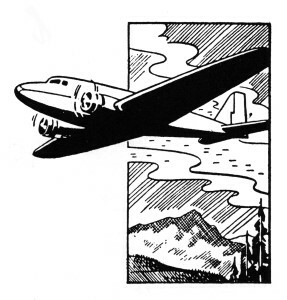 The aircraft was a DC-3, tail number NC17335, with a crew of three, and fourteen passengers aboard. Weather at Burlington Airport was rainy with 1 mile visibility and an 800 foot cloud ceiling. Flight 3 arrived at Burlington shortly before midnight and attempted to land on Runway 1. After the plane touched down on the slick tarmac it skidded into a pile of dirt and some trees at the end of the runway. Although the airliner suffered extensive damage there was no fire and everyone was evacuated safely. There were only two reported injuries: a Miami, Florida, woman suffered a possible broken rib, and the stewardess a slight concussion. Both were treated at a nearby hospital. The uninjured passengers were transferred to another plane. Colonial Airlines merged with Eastern Airlines in 1956. Lewiston Daily Sun, “Colonial Plane Crash Lands At Burlington”, September 21, 1948, page 1. On July 20, 1974, four men took off in a small private airplane from Equinox Airport in Manchester. The plane crashed shortly after takeoff about a quarter of a mile from the airport, taking down some power lines. All four men received various non-life threatening injuries. On the evening of February 22, 1973, a Cessna 310J, (N3149L) with two persons aboard left Mt. Empire, Virginia, bound for Springfield, Vermont. At 7:00 p.m. the pilot was given clearance from the Air Traffic Control center in Nashua to land at Springfield. The weather over Vermont consisted of low cloud cover and snow conditions. When the plane failed to arrive at the airport a search and rescue effort was begun. The plane wreckage was later found on 2, 800 ft. mountain in the town of Londonderry. Both men aboard were killed. Claremont Daily Eagle, “Missing Plane Believed Down Near Springfield”, February 23, 1973, page 1. 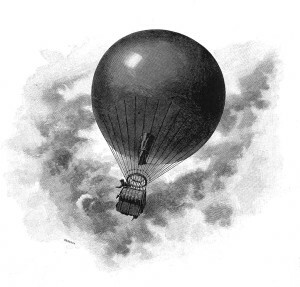 On August 20, 1875, a man identified as “Professor Bristol” an aeronaut with “Cole’s Circus” was in a balloon 1,000 feet above Bellows Falls, when a current of cold air running along the Connecticut River caught the craft and caused it to rapidly descend towards the water. Just as the balloon was about to hit the water above the falls, the breeze blew it a little towards shore, which gave Professor Bristol the chance to jump clear and make it to safety. No sooner had he done so, the balloon touched down and went over the falls where it was wrecked. On July 15, 1930, Frank Goldsborough and Donald Mockler were flying from Cleveland, Ohio, to Keene, New Hampshire, when they encountered fog over the Bennington region and crashed into a mountain eight miles east of Bennington. The plane had struck a tree and slid to the ground pinning Goldsborough in the wreck, but Mockler was able to extricate himself and go for help. For five hours he made his way through the woods and brush before coming to a farmhouse a mile out of Bennington. A contingent of about 100 volunteers accompanied Mockler back into the woods to the wreck site. Progress was slow because Mockler had lost his glasses, and had trouble identifying landmarks. Sixteen hours after the crash, Goldsborough was carried down the mountain and brought to Putnam Memorial Hospital in Bennington where he died the following day. Frank Goldsborough had recently achieved fame as the American record holder of the Junior Transcontinental Air Speed Record. He was the son of Frank Goldsborough who was himself a well known pilot, who died in December of 1927 when his aircraft disappeared off Cape Cod.